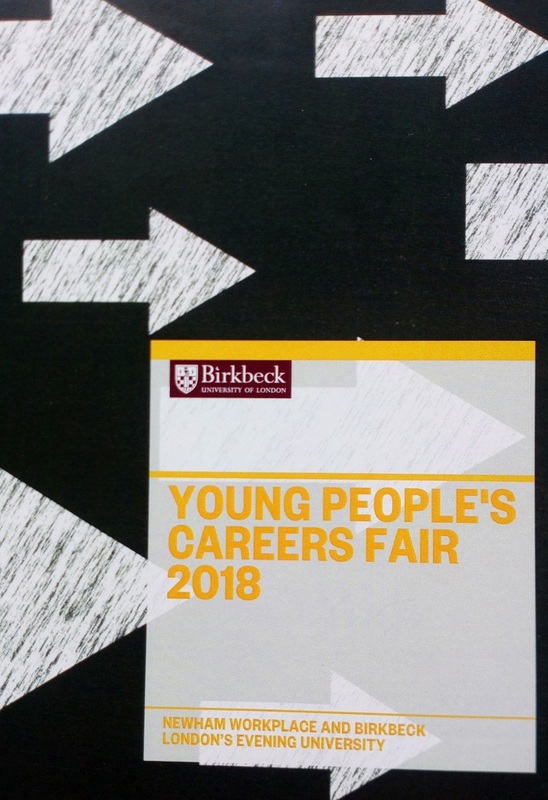 Hester Gartrell, Outreach and Widening Access Senior Officer at Birkbeck, discusses the recent careers fair at our Stratford campus for Newham residents aged 16-24. On Wednesday 29 August, Birkbeck’s Stratford campus hosted Newham Young People’s Careers Fair. The fair which was delivered in partnership with Workplace, Newham’s job brokerage, provided support, advice and guidance about education, employment and training for young people aged 16-24. 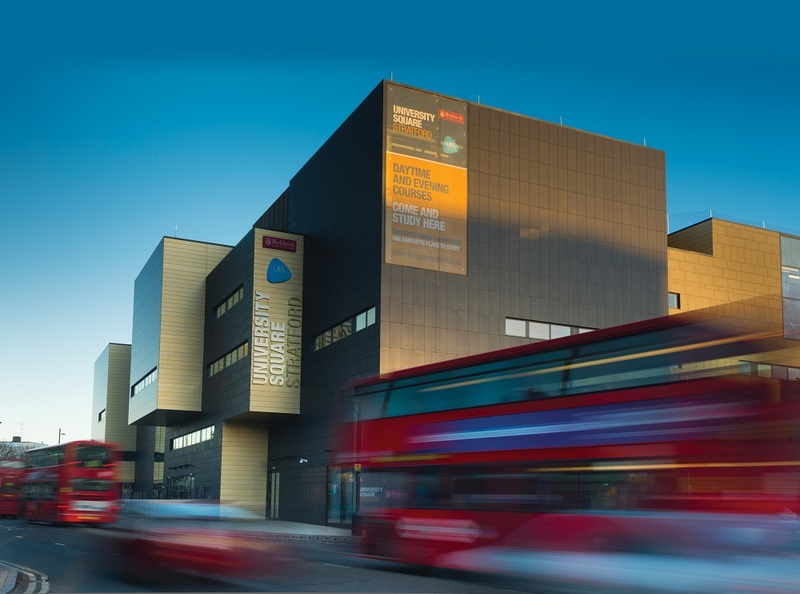 The event is the result of an ongoing partnership between Birkbeck Access and Engagement and Workplace and was a fantastic opportunity for us to showcase our campus to Newham residents. A key part of our access work is to demonstrate to potential students that Birkbeck is a welcoming place which will support them throughout their studies. Opening up our doors to what can seem a daunting and gated space is essential to this. The fair also gave us the chance to speak to local residents about Birkbeck and its flexible study options right in the heart of Newham as well as being a culmination to the work that we’ve been doing throughout the borough this summer. This has included joining Workplace on their roadshow across Newham, holding regular information and advice drop-ins at local libraries and attending community festivals. In addition to hosting 179 Newham residents, we also had 30 organisations exhibit at the fair from sectors as varied as construction, television and further education. Not only did the event allow us to build links with these businesses, it again allowed us to show others our campus where they may want to host their own events or where they or their colleagues may want to consider studying. We’re looking forward to hosting more Access and Engagement events and activities on campus in autumn and beyond with plans for our own events and further partnership working. Birkbeck alumna Yvonne Plowright and current student Liliana Torres discuss their experiences with the Family Learning events attended by the Widening Access team. The Widening Access team at Birkbeck collaborate with other London universities (including UCL, King’s and City) to attend parents’ evenings and other family events at these institutions, with the aim of promoting learning which spans the generations. Through workshops and talks in which current students and alumni also share their experience of studying at Birkbeck, we are able to demonstrate to parents and carers what Birkbeck, and higher education, has to offer. Often they are in attendance to support their children with making a decision about where to study, so it is a fantastic opportunity to talk with people who may not have considered studying at university. By providing them with information, advice and guidance, we encourage parents and carers to consider embarking on their own university journey too. “Among its many attributes, Birkbeck prides itself on being the university “for students who simply refuse to stop learning”. That rubric always strikes a chord with me, perhaps because I am a mature student who has made a commitment to lifelong learning. I am passionate about education for all, so when Birkbeck’s Widening Access Team invited me to join them at family learning events, I jumped at the chance. “I have a BA in Philosophy from Birkbeck and these events are my opportunity to share my story and to say thank you to this magnificent university for changing my life in ways I could never have imagined. I returned to student life after an absence of over thirty years, when I was busy with a career, working full-time and raising a family. Once my children had grown up and left home to further their education and pursue their interests, I was able to fulfil the promise I had made to myself to continue with my own studies. With the new academic year well underway, the first Future Focus workshop was held at the Bloomsbury campus this month, as part of a series of five workshops that support mature learners with advice and guidance on career prospects. It’s the start of the new academic year and our very own version of the ‘New Year, New Me’ mantra dawns on Birkbeck; a chance for us to contemplate our goals and the tangible steps we need to take in order to get there. Deciding those next steps can always be made a little clearer with the support and guidance of others and attending Future Focus, a workshop organised by Birkbeck’s Widening Access team and designed and delivered by the Careers and Employability team, is a great place to turn to for that. The first Future Focus workshop of the academic year took place in early October. Delivered by Birkbeck’s Employability Consultant & Events Manager, Alex Jones, attendees were encouraged to use the time to reflect on their motivation, decisions and skills, and whether the next step they were about to embark on fed into these goals. In our busy lives, taking the time to consider and plan, is all too often swept under the carpet, pushed for another day. By coming along to Future Focus, attendees gave themselves the headspace to contemplate, make informed choices and seek the motivation and confidence to take those exciting first steps. “My son was applying to university and in the process for this I had got on the Eventbrite mailing list. One of the events promoted was a Future Focus workshop at Birkbeck University. I had been toying with the idea of going to university to study history but I was unsure whether I was too old and would not fit in. I had done a couple of modules with the Open University but had found the lack of face to face time quite isolating, so I didn’t want to feel isolated in a room of younger people. I had heard really good things about Birkbeck so the Future Focus workshop seemed the ideal opportunity to test the waters! The workshop looked at what kind of career you could get with a degree in your chosen subject. If you just wanted to study for study sake that was okay but it gave you an idea of what you could do. Everyone was very welcoming and the demographic was varied, I did not feel the oldest one there. Some people wanted a career change, some wanted to enhance and progress in their chosen career and some just wanted to study a new subject. We were asked what we liked about our present job, if we were working, and what we didn’t like. It made me realised that it was interacting with people that I liked the most and being self-employed I liked the least. It also made me see that I could change my career if that is what I wanted to do. If you’re thinking about your future and the tools you need to get there, sign up to the next session! If you have any questions or want to find out more, contact the team.